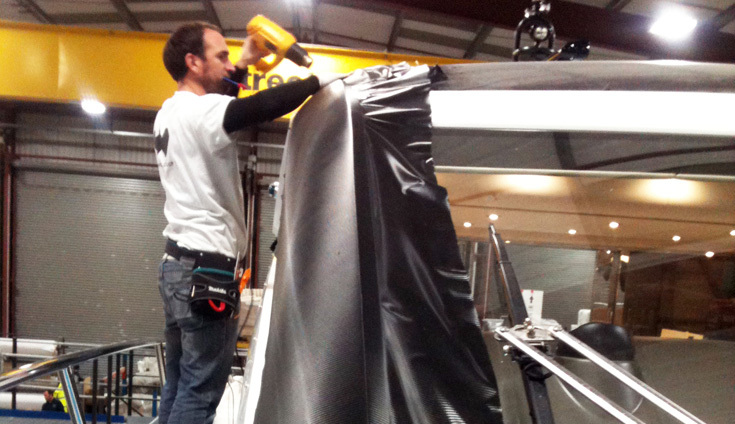 Sunseeker Factory have now modified their production process to take vinyl finishing into account. 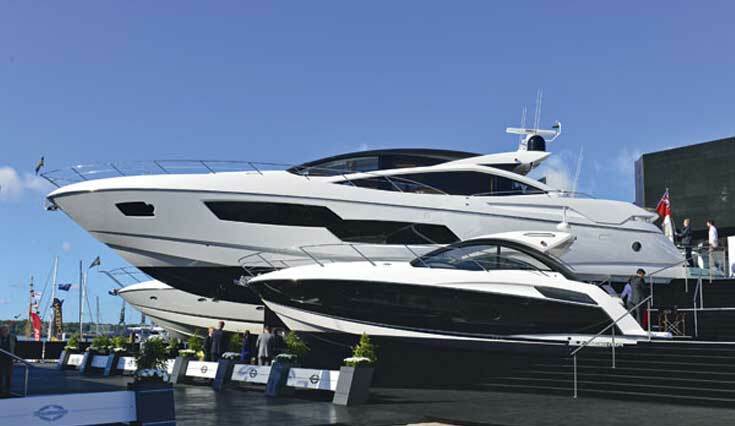 A few years ago Sunseeker commissioned Wild Group to work with them on their range. They were looking for a method of finishing and adding detail that was quick, easy and looked good, allowing them to build white components, whilst accelerating the production line and giving their customers what they want. Vinyl offers additional benefits for their customers such as low maintenance (no buffing) and the attraction of protecting the gel coat layer. 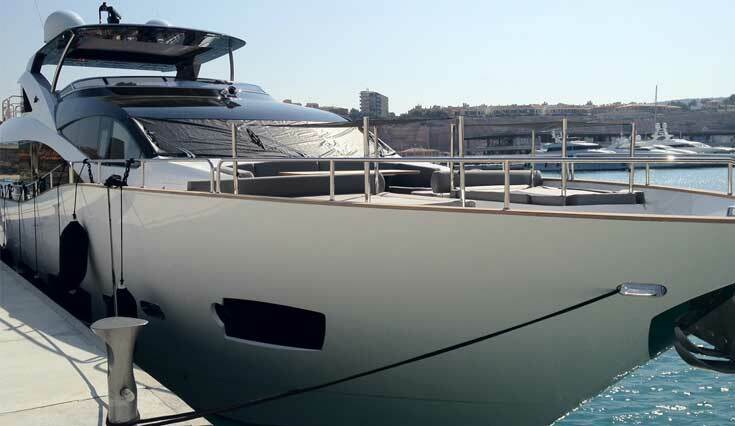 The boat manufacturer could keep producing white boats while the customer could add their own unique personality by wrapping the hull or band with a new colour. 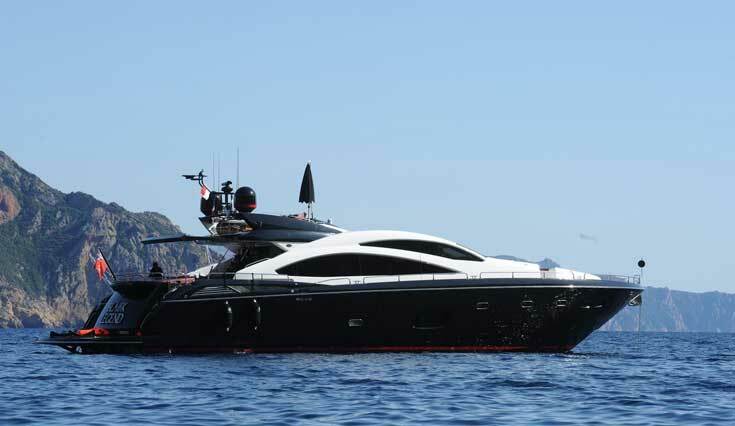 This was the beginning of a great relationship between Wild Group and Sunseeker. 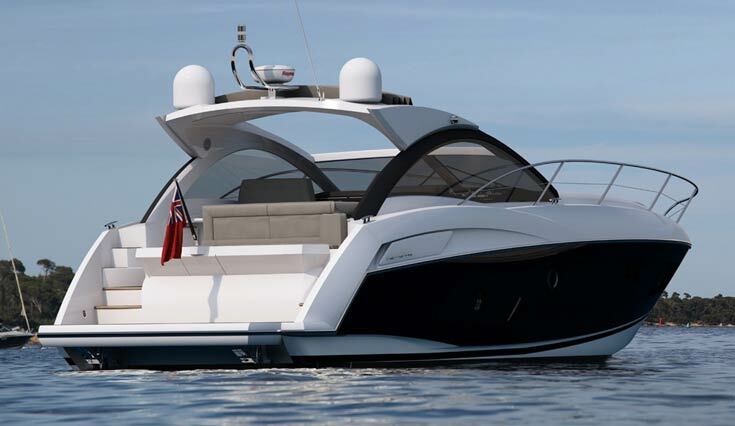 So impressed are Sunseeker with the benefits and flexibility of such specialized wrap techniques they have modified their production process to take it into account. 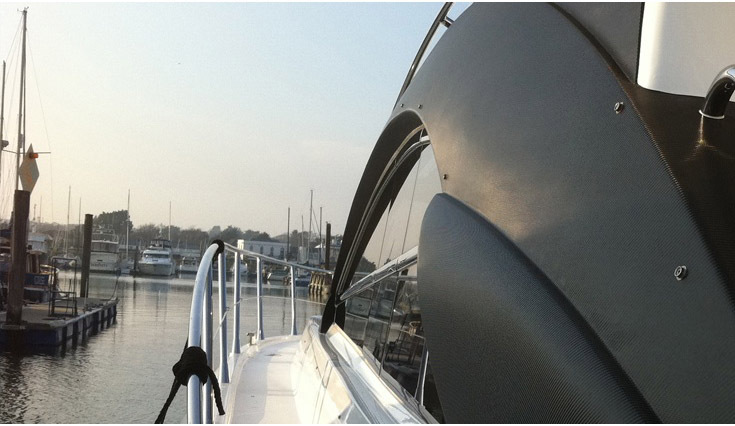 Vinyl finishing is now standard on many of the range including carbon detailing on areas such as coach roofs, mullions and superstructure on the Portofino 40, San Remo 48, Predator 53, Predator 80 and the successful 28m yacht.